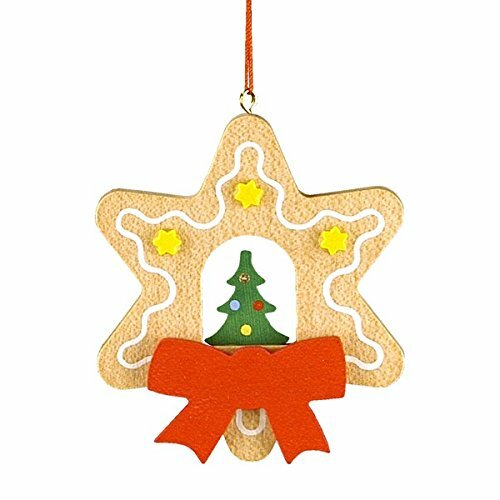 10/0425 Features: -Star shaped gingerbread cookie ornament with Christmas tree in center.-The star shaped Gingerbread cookie ornament has a Christmas tree in the center.-Made in Germany. Construction: -Wood construction. Color/Finish: -Yellow stars, a large red ribbon, and a drizzle of white frosting accents the outline. Dimensions: -Overall dimensions: 5” H x 3.75” W x 2.5” D.